A southbound thru-hike of the Pacific Crest Trail is an outstanding experience and an immense challenge. We created this mini-guide to help demystify the southbound thru-hiking experience and educate you about the upsides and challenges of going from Canada to Mexico. In the 1970s, a greater percentage of thru-hikers went southbound than they do today. Probably more people could be attempting a southbound thru-hike. There are many great reasons to go in this direction. The opportunity for solitude and reflection are greater, towns won’t be busy with hikers, you will experience most of California without mosquitoes and your walk through the desert will be during late fall when days are cooler. Imagine months out in nature, mostly with your thoughts and the sights and sounds around you. We think that you’ll develop a deep connection to the land and the trail. A quiet home for the night. Photo by Steven Shattuck. If more hikers went southbound, the collective impact of thru-hikers on the trail could be reduced. On-trail impacts, especially at campsites, are often greatest during surges of use. When a few dozen people camp at the same water source, the number, and size of their campsites increase. These changes usually are permanent. By hiking southbound, you’re choosing to hike in less popular times and locations. Also, during surge periods – such as Southern California in the spring – hotels, stores, restaurants and trail angels can become quite busy. You’ll find those same services to be less stretched while traveling south. Honestly, it’s often life circumstances that dictate the direction you’ll go. If you need to work a few more months, or don’t get off school until early summer, a start date in July rather than April makes a lot of sense. While we’re focused on thru-hikers with this advice, think about whether you wouldn’t be better off not doing a conventional southbound or northbound thru-hike. Jumping around and piecing together sections as you desire, perhaps over several years, is an absolutely fantastic way to experience the PCT. 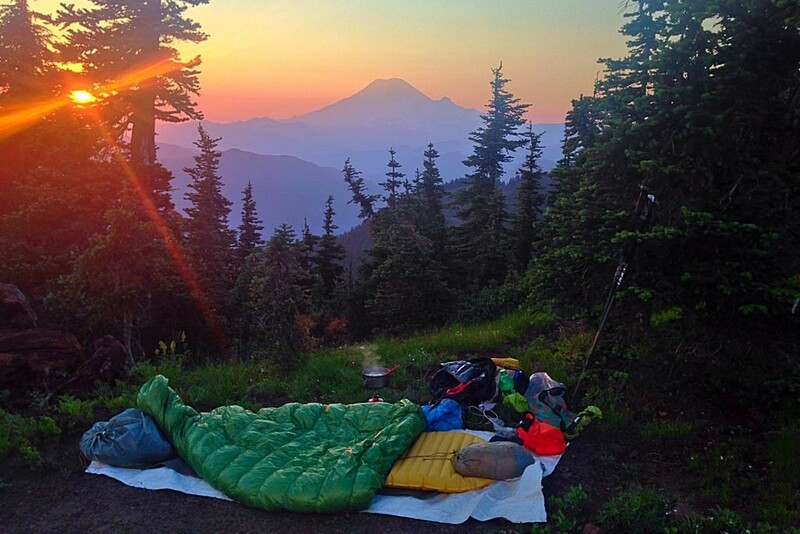 It’s not all about the thru-hike. It’s about being there. Oh, and another thing. Sometimes you’ll hear the terms ‘sobo’ and ‘nobo’. SOBO is short for southbound, as in, a southbound thru-hike. Regardless of your start date, your aim will be to get through the high mountains before the snow falls again. You should reach Kennedy Meadows on the south side of the Sierra Nevada by late September-early October. The regular Sierra resupply points may already be closed, but the first significant snow storms usually start hitting the Sierra in early to mid-October. Be cautious. Being in the mountains during an early season snowstorm can kill you. Very experienced hikers have learned this the hard way. The question of when it will snow in the Sierra defines a southbound thru-hike. No one knows. The first snowstorm could drop a few inches, or it could drop feet. It could happen in late September, or not until January. Generally, the first bigger snowstorms start in mid to late October. But they might melt off. If they do, usually by mid-November bigger storms start passing through and winter has started for real. Sometimes, the winter snowpack doesn’t get underway until December or January. We really don’t recommend pushing that window. Extremely slippery ice, very cold temperatures and a real threat of massive winter storms make the proposition dangerous, even if the mountains haven’t been shut down by winter. Generally, backpacking season is over around the end of September. 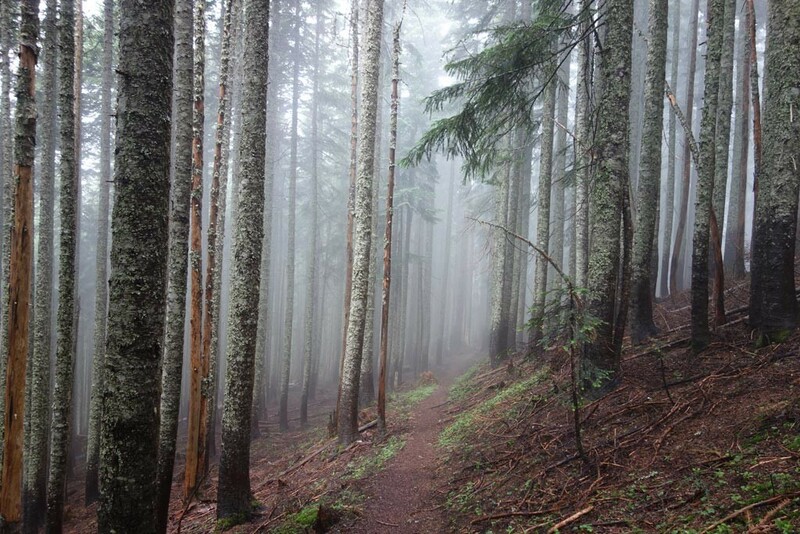 A misty, silent, Pacific Crest Trail. Photo by Susan Caster. Do I have to go faster on a southbound thru-hike? It’s debatable whether a southbound hike has a tighter window of opportunity and thus requires a faster pace. Conventional wisdom, in a normal year, is that northbounders should leave Kennedy Meadows around June 15th and reach Canada by September 30th. That’s 3.5 months. Conventional wisdom for southbounders is that they should leave Canada around early July and reach Kennedy Meadows South in early to mid-October. That’s about three months, possibly a little more. The issue with this is a that you might be able to push both windows, but there is great uncertainty with shoulder season hiking. Extending either hike earlier or later in the year depends on the specific weather conditions that you’ll face, your risk tolerance, gear, experience, fitness, knowledge, and tolerance for cold, wet weather. Entering the North Cascades early is quite risky, but being in the Sierra later in the year can work (unless a large storm comes through!) All in all, we think that southbounders have a bit of a shorter window. What’s nice is that they can slow down and have a truly leisurely pace (water scarcity aside) once they pass Mt. Whitney. With fewer opportunities to socialize and less reason to spend extra time in town, it might not be such a big deal to have a tighter hiking window. Southbound thru-hikers need to be fit right from the start of their hike since they will begin on rugged trail in the North Cascades. So it’s important they have substantial previous hiking experience before the start. This will also allow them to comfortably sustain a quicker pace, making the shorter time window less of an issue. A thru-hike is a remarkable feat of endurance either way you go. Photo by Ethan Gehl. 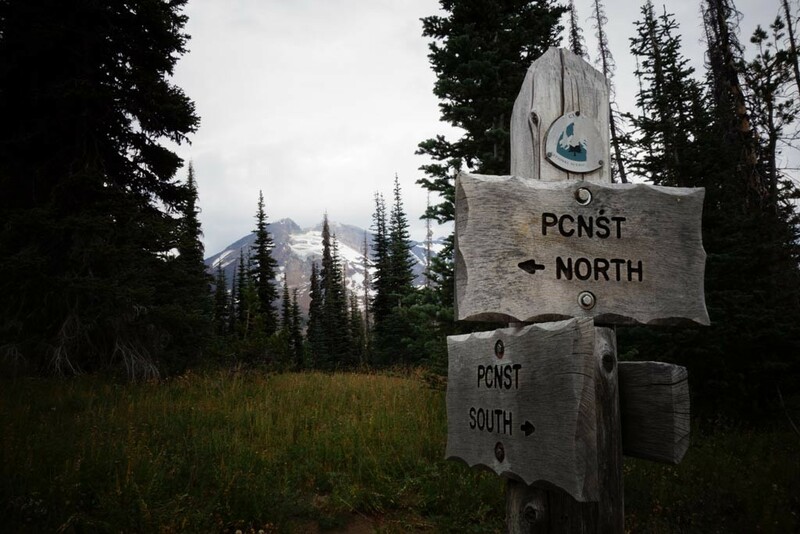 Starting a southbound hike is a bit of a logistical problem as it’s illegal to enter the United States from Canada via the PCT. Don’t do it. You’re likely going to start your hike in the United States from Hart’s Pass. From Hart’s Pass, you will hike north to the Canadian border and then start your southbound journey from there. Visit our transportation page for more details and another option. It’s possible that the road to Hart’s Pass will be blocked by snow well into late June. If the road to Hart’s Pass remains blocked, that’s a sign of difficult conditions on the trail. You should probably let the snow melt a bit. If there is still snow on the ground, it is a serious danger you should not underestimate. It’s not a place for those inexperienced with traveling across steep snowfields. Substantial backcountry expertise, avalanche awareness, partners, good equipment, plans and physical fitness are necessary. The PCT is generally routed along very steep slopes below jagged ridgelines. If there is substantial snow, this is a type of mountaineering that is abjectly dangerous. Mountaineers take steep traverses like the PCT very seriously. They often use ropes. Generally, they go up and down fall lines rather than across them and are cognizant of the exposure to potentially deadly falls. With lots of snow on the ground, realize that you’ll be mountaineering and not really backpacking. If you’re wondering whether you should carry an ice axe or crampons, the answer is “of course.” And you should be proficient with all of the techniques that go with using them. Substantial snow in mid-August in Goat Rocks Wilderness. Photo by Sue Owens. Knowing this, southbounders still tend to start their adventure when there is still some dangerous snow on the trail. Some years it persists well into August! You’ll want to delay as long as necessary. Generally, mid-June is too early to start and you could have very extensive snow travel even through the valleys. Early July tends to be a decent mix where the snow is rapidly disappearing, so it’s not too late in the season that a strong hiker can’t make it to Mexico. Even with that July start, you’re likely going to have challenging snow travel. Raging snowmelt driven creeks are also a safety concern. These stream crossings can be treacherous. Don’t even try to cross a stream if it is unsafe. Find another place to cross or turn around. Learn proper stream crossing techniques. They can save your life. Spring avalanches are also a concern. If you’re planning on snow travel, you should know how to assess avalanche risk, what the contributing factors are and how to avoid the greatest dangers. Before you start the trail: check online for current snow conditions. Even after all of the sensors show no snow at Hart’s Pass, there will still be significant snow on all the high elevation passes for at least a couple of weeks. You can estimate that walking on snow will take roughly twice as long as on dirt, so plan your food and daily mileage accordingly. 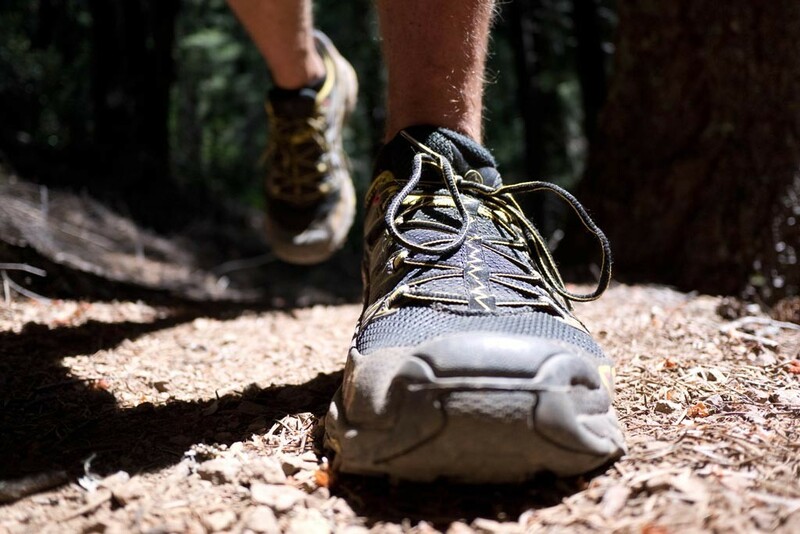 Most hikers start with roughly 10-mile days, or less. This can be exceptionally difficult travel. Although you will be hiking on snow, it will likely be warm in July, and it would be a rare occasion for the temperature to drop much below freezing. You’ll need to be a good map and compass navigator. It’s likely that there won’t be tracks to follow through the snow. A GPS (or smartphone with a GPS app) can be very helpful if the battery is charged and it hasn’t been broken by dropping it on a rock or in a creek. The PCT is not designed to be traveled before the snow has melted so it will be a challenge to follow. Letting the mind wander while looking at the PCT Halfmile maps. Know what your options are and always make sure that you keep your options open. If you’re faced with danger beyond your comfort level, stop and turn around. Detour around it or leave the trail. It’s a very good idea to carry maps that show exit routes. Your PCT maps are so zoomed in on the trail that they’re not very helpful if you’re trying to bail. 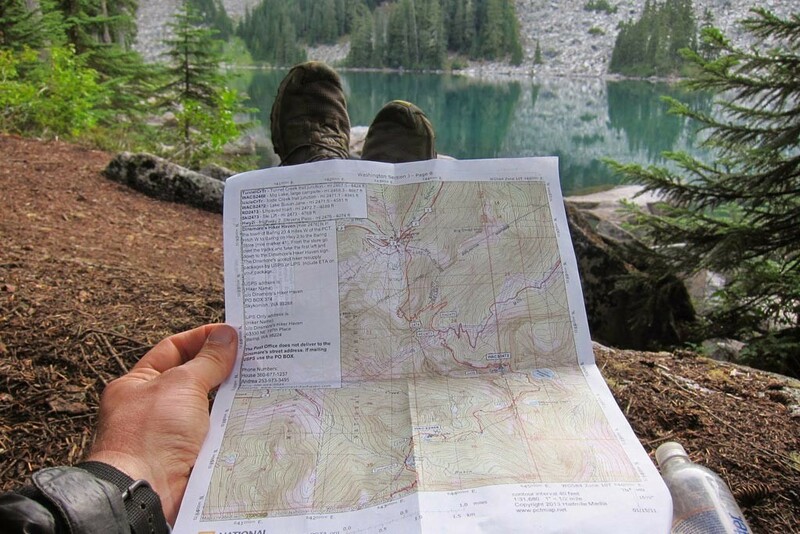 Consider carrying broader maps like those published by Green Trails or Trails Illustrated. If the Pasayten Wilderness has too much dangerous snow, you could always walk along Ross Lake as it is at lower elevation. You’ll need a different permit from North Cascades National Park. 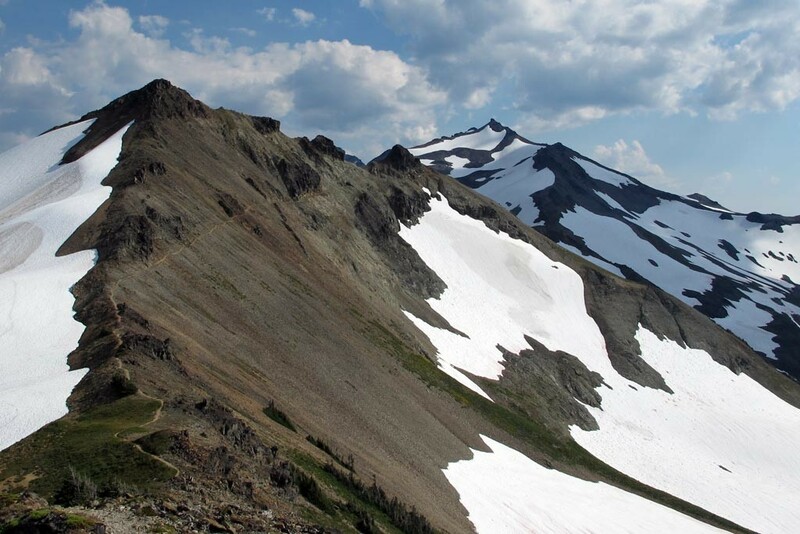 You are still very likely to hit snow once you reach Glacier Peak Wilderness – perhaps the most challenging section. Some southbounders experience difficult snow travel until well past Goat Rocks Wilderness. That’s about 400 miles south of Canada. Be prepared for mosquitoes from the very start. They will persist well into Oregon. You might also face a lot of down trees across the trail. Thousands of trees fall across the trail every winter and you’re likely going to be passing through before our volunteers have done “log-out”. Where does that leave the average backpacker who isn’t very experienced, knowledgeable or fit or is risk adverse? Well, maybe southbounding isn’t for you. Wildfires are an important part of the natural ecosystem and you should expect fires or smoke. Since you’re hiking later in the year, in some ways, it’s more likely that you’ll be impacted by fires. At least you’re passing through Washington and hopefully Oregon before wildfire season really gets underway. Depending on when you arrive in the Sierra, many of the typical resupply points will be closed for the season. It is not impossible to hike through the Sierra after these resupply points are closed, as there are ways to hitch out and resupply without them. Visit their websites and Facebook pages for information about when they’re closing. Do your research and know what the situation is before relying on something. Take a look at the historical closure dates for the Sierra Nevada passes. Detailed Tioga Pass information here. Sonora Pass: Highway 108 should be open. Kennedy Meadows Resort (North) closes on Columbus Day. Tuolumne Meadows: Highway 120 should be open if you’re passing through before mid-October but the store and post office generally close around the end of September. Bus service usually ends closer to the middle of September. You could travel by car down to Lee Vinning or Yosemite Valley for services, or continue on to Mammoth. Red’s Meadow and Mammoth Lakes: Red’s Meadow Resort is generally open until the end of September. The bus shuttle stops running Labor Day weekend. Then toward the end of October, the road closes. If you’re still out there, you might choose to hike further south and get to Mammoth Lakes via Mammoth Pass/Horseshoe Lake or even Duck Lake/Lake Mary. Vermillion Valley Resort: The ferry will stop running first, sometimes in the middle of summer, and you’ll need to walk to the resort. Then the restaurant and the store will close, often in the second week of October. Mono Hot Springs Resort: It usually closes at the end of October. It’s a bit of a long hike off the PCT. But since its open a little later in the year, it’s a good option to have on your radar. They accept mail drops and have a small store. Muir Trail Ranch: Closes in mid-September, or a bit later. Don’t count on it. Bishop Pass: It’s a long way up and over this pass to get to a trailhead near the town of Bishop. Still, it’s an option. There are actually numerous other east-side passes that you could use and you’ll find them by looking at a map. Kearsarge Pass: Leaving over Kearsarge Pass to the trailhead at Onion Valley brings you to the town of Independence. It’s not a terribly long walk, and if the remote Sierra resorts mentioned above are closed, it’s a good choice. If you’re there late in the season you might need to walk the road all the way to town. 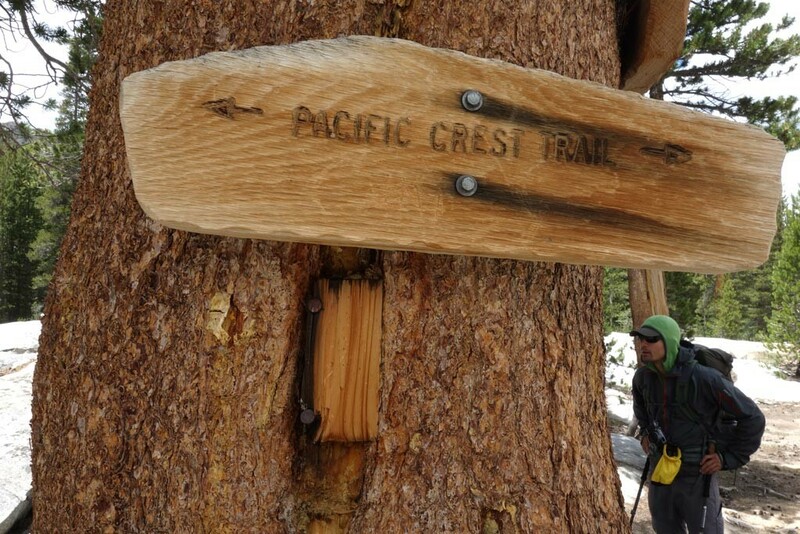 Horseshoe Meadows: This trailhead is near the PCT and provides good access to the town of Lone Pine. Most likely the coldest temperatures you will experience on the trail will be in the Sierra, as you will be passing through at the tail end of the season. It will likely dip well below freezing, possibly into the mid-teens, especially at higher elevations. It’s a good idea to carry extra insulation as the 100-degree days of Northern California will be long behind you. 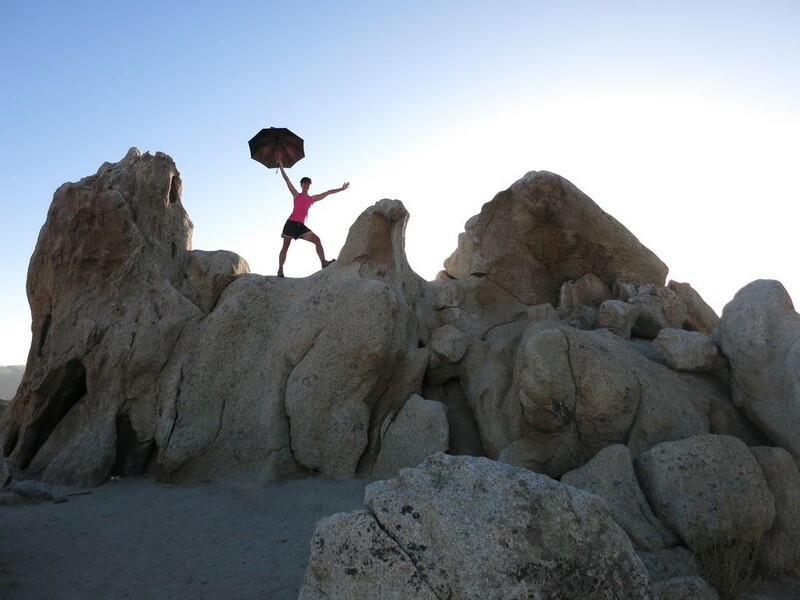 Hiking across Southern California in the fall, you’ll face a trail with few natural water sources. This is not an insurmountable obstacle for hardy long-distance hikers. Water caches that are never reliable are even less guaranteed at this time of year. So be self-sufficient and carry plenty of water between reliable sources. If you’re especially late in the season, some campground water faucets might be turned off. They generally start turning them off around November 1st. The water report is a good source of information on where to find water. While some creeks may be dry, that’s sometimes the case for northbound hikers too. Hiking across Southern California is generally done by linking together water faucets and springs that still will be flowing in the fall. The desert probably won’t be very hot. Although likely not as cold as the Sierra, it could snow in the Southern California mountains as early as late October or early November. While people talk about hiking across the desert, the truth is that you’re most often in the mountains high above the desert lowlands. By the fall, days will be shorter. You’ll still have about 11 hours between sunrise and sunset – probably plenty! 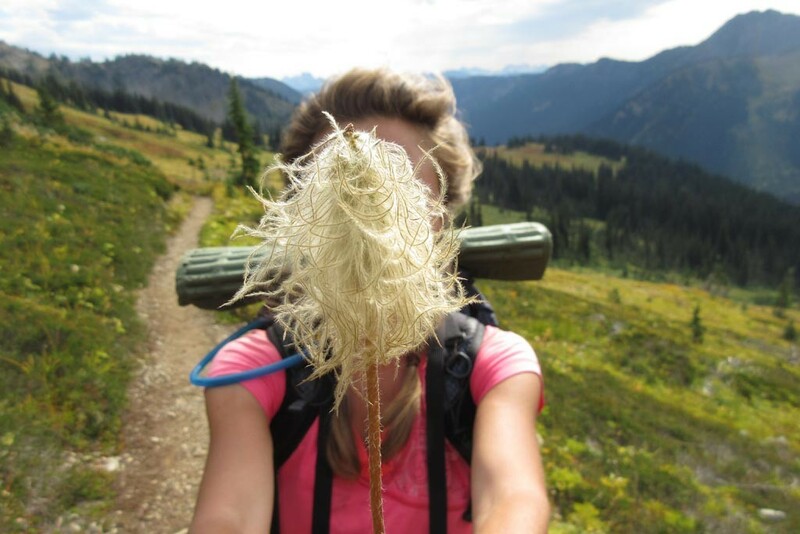 Dormouse near the end of her southbound PCT thru-hike. Photo by Dirt Stew. But won’t the sun be in my eyes? Honestly, we’re a bit surprised that this is talked about so often. Sure, the sun will generally be in the southern sky. But: the trail winds around so much. You’re often in the woods. You’re behind mountains or ridges. You’re wearing a hat and sunglasses. You’re tough. The trail is much harder than a little sun in your eyes. Your photos won’t be ruined – you’ll have thousands of stunning pictures regardless of which way you go. Still, it’s a fair point to argue. So, debate on!